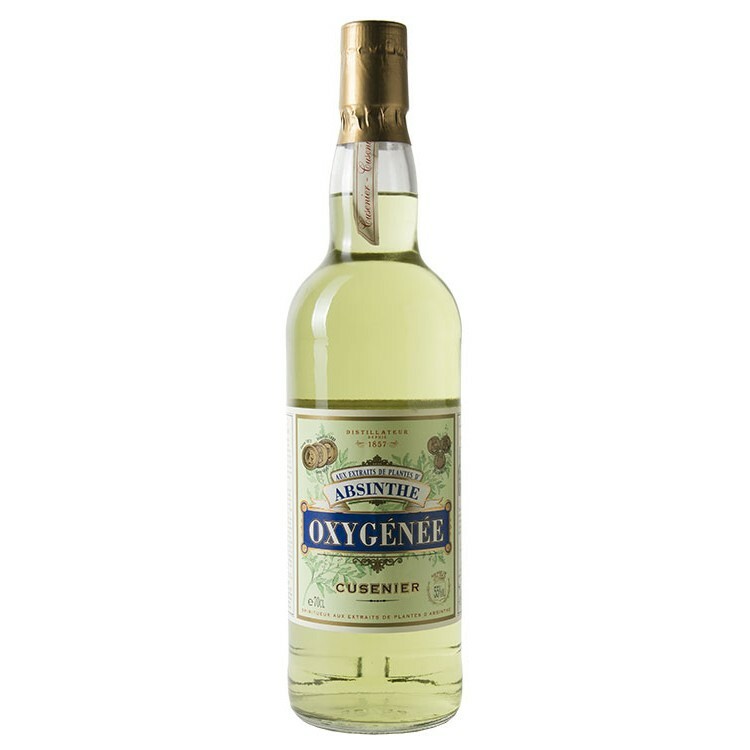 Absinthe Cusenier Oxygenée was the highest priced Absinthe of the Belle Époque era. 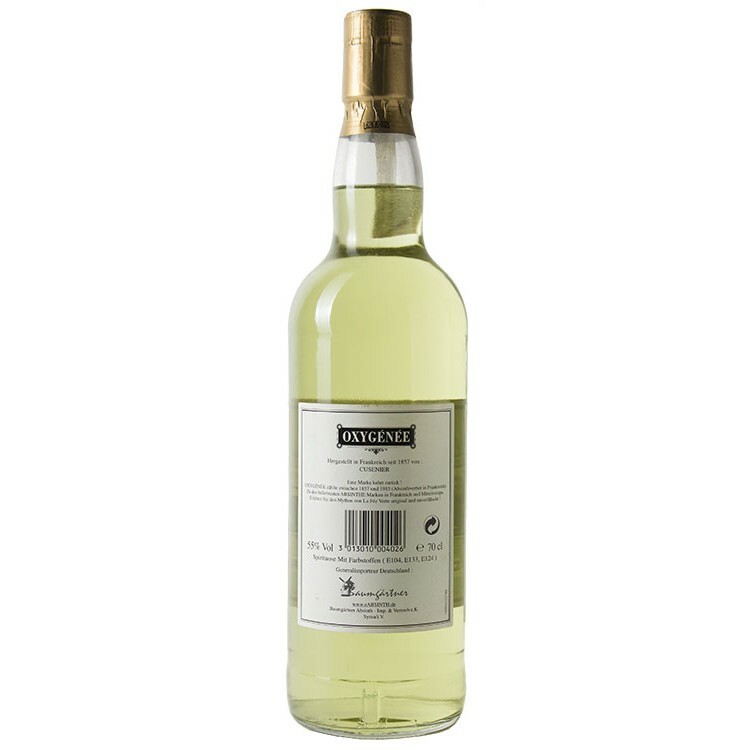 This means it sold at an even higher price than the market leader Pernod Fils Absinthe. 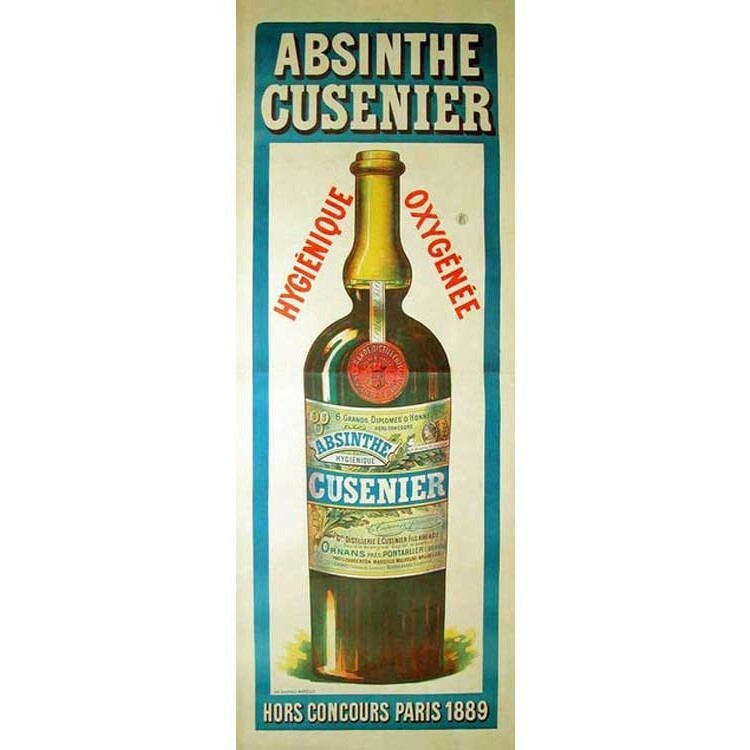 Cusenier produced various spirits, but their Absinthe was their flagship product. 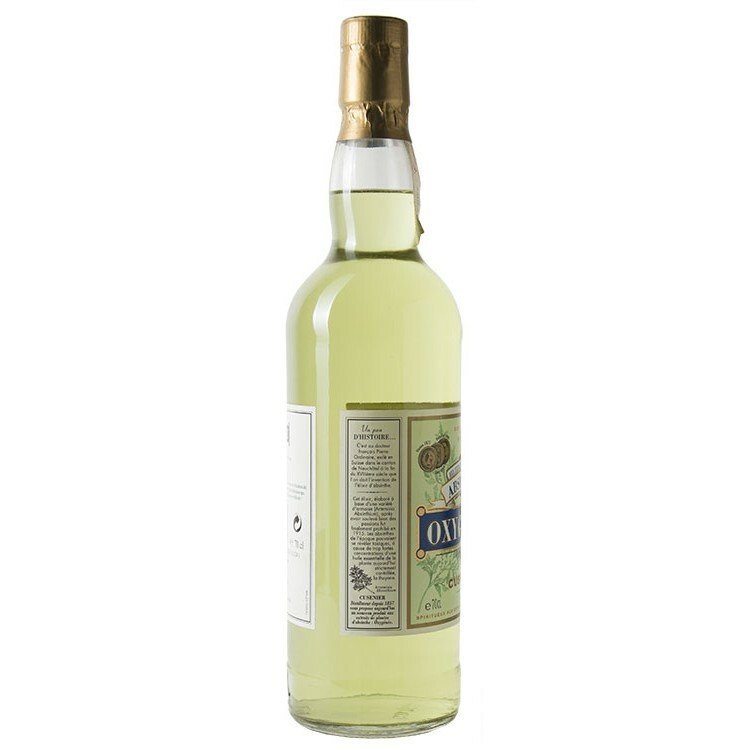 Absinthe Cusenier Oxygénée was the highest priced Absinthe of the Belle Époque era. This means it sold at an even higher price than the market leader Pernod Fils Absinthe. 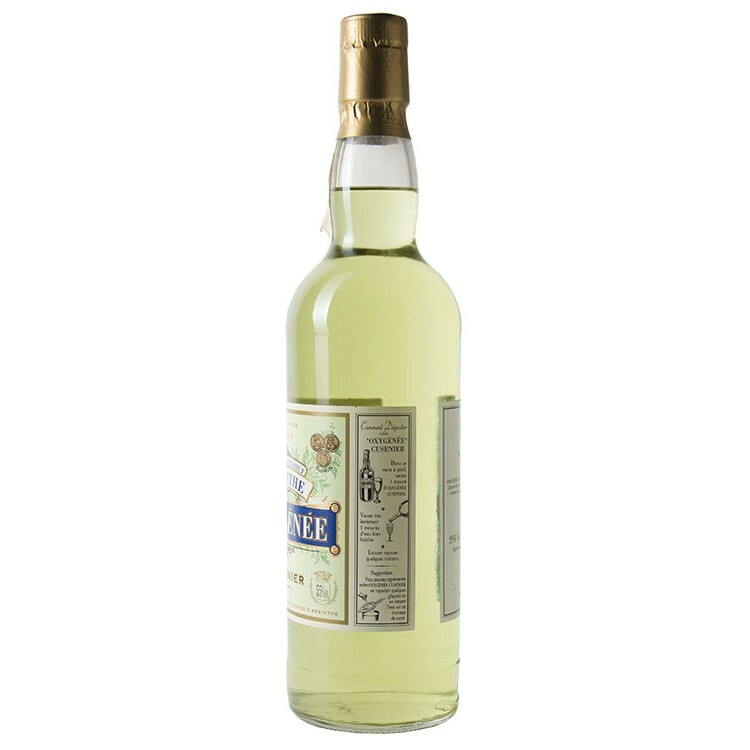 Cusenier produced various spirits, but their Absinthe was their flagship product. 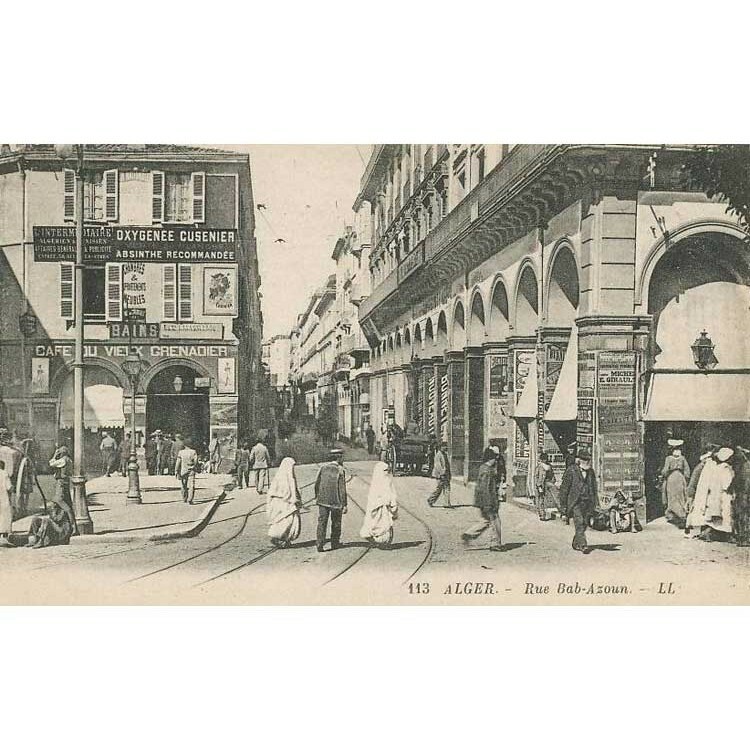 You can find various photos of the old times where "Oxygénée" advertisements can bee seen at the wall (check out our photo gallery). 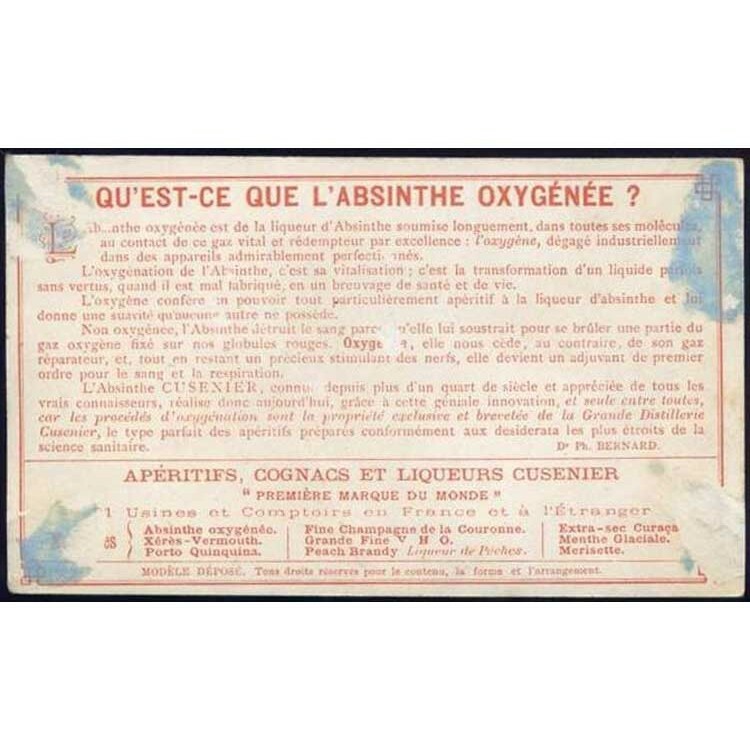 Cusenier marketed their Absinthe as being good for your health "Hygiénique! ", referencing to their special distillation process. The bottle we sell is actually not a vintage bottle from the 19th century. 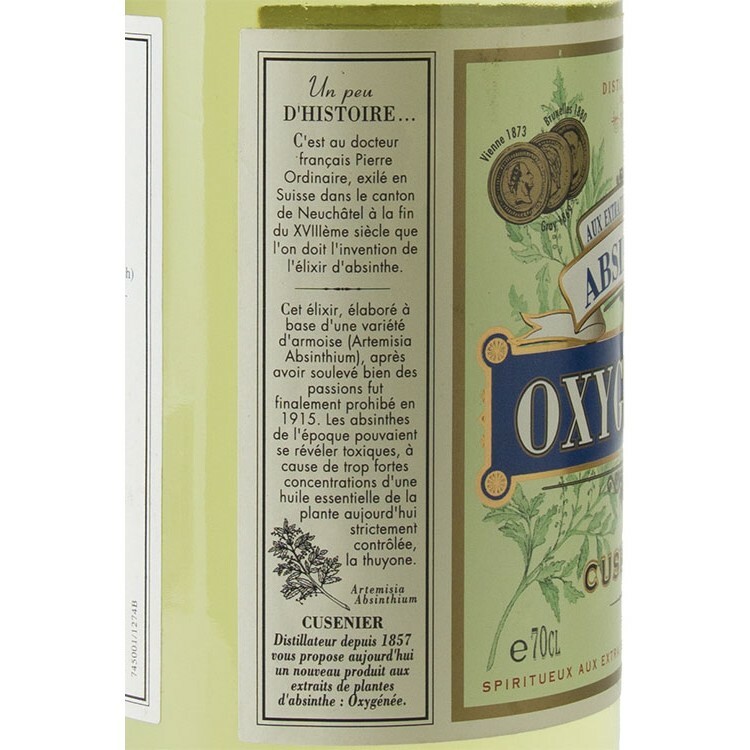 It is a re-edition that was sold soon after Absinthe got legalized in the European Union in the late 1990s. The bottle design resembles the historical original. Nevertheless the Absinthe itself does not hold up to the high historical standards. Its green color is artificial and the Absinthe unfortunately is an oil mix, meaning that it is not distilled. Nevertheless this bottle is a unique piece, as production was stopped in 2008. 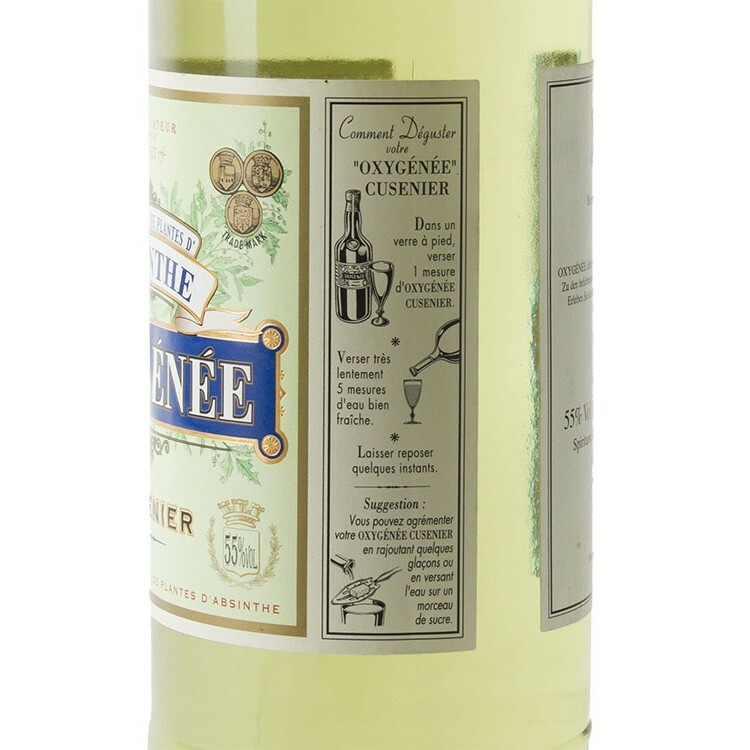 Absinthe Oxygénée separated itself from its peers by a specialized hot oxygenation production process. 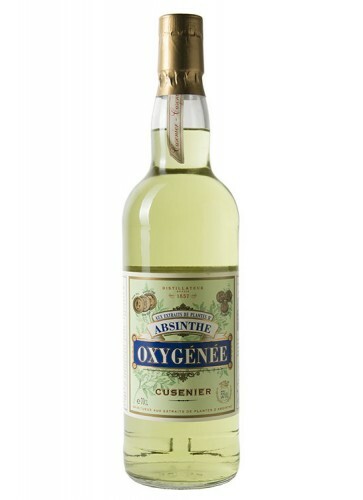 This treatment was advertised as being “Hygiénique”, because drinking a glass of this Absinthe would not extract oxygen from the blood but rather add oxygen to it, which would have a healing effect on the nerve system, circulation and lungs… In a way, this new prodution method was a reaction to several scientists and scholars proclaiming that alcohol, and absinthe above all – the scapegoat of the French wine industry – was very dangerous to consumers’ health. 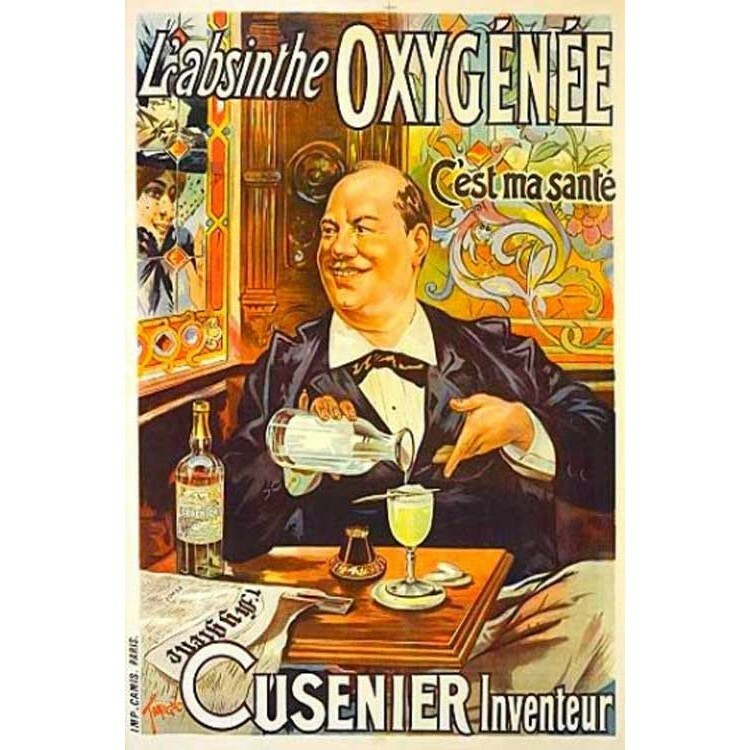 Besides being good for your health, this claim was actually also used for advertisement "C´est ma santé" (see picture in the gallery) the oxygenation process also lets the Absinthe age very quickly. You can compare it with decanting a wine, allowing oxygen to mix with the molecules of the spirit changing its taste and aroma. The result is a very smooth Absinthe without any alcoholic sharpness. The original brand was the subject of widespread publicity, sold at a premium, and was exported to various ports around the globe.